I built this index so you can find helpful answers on my site fast. YouTube – ShineOn Education Channel – Check it out and subscribe. Great place to search my helpful videos and videos I love from other experts, that will help you help struggling students. Am I A Good Parent? – When parents come to me, they’re often at their wits end and at a loss. This video explores this a bit, but my main message here is that you are not alone. Is College Even Right? – In this week’s vlog I respond to a fantastic email about college prep. I’m at a loss to help my child – Two videos about a great topic that many families experience! Here I dive into several key insights that will help. Attachment Theory and How to Help Your Child Feel Safe – This video is about attachment theory. Great for parents and teachers wanting to help children/teens (or students) move through difficult emotions and feel more secure. Summer Reading Blues – Parents, while this a video about summer reading, DON’T BE FOOLED, it’s applicable to so much more. You’ll like it. Junior says “I’m no longer satisfied with ‘not being smart enough'” – In this vlog I respond to an email from the introspective high schooler Ayla, discussing all sorts of interrelated topics to consider. 6 Tools: How to help with ANXIETY that children experience – In this video I discuss how to support kids who also struggle with anxiety along with their many learning challenges. Does your child get STUCK? – Does your child get stuck, immobilized, procrastinate, lose motivation, lack discipline, resist? Adults often address these problems ineffectively. This video will break down a key concept that will help. T-E-A-C-H-E-R-S Thank you! Summer Break – Thank you video to all the teachers out there. Summer Break: 7 Quick Tips – Here are 7 key ideas that you can use to help your child have a great summer and to better prep for next fall. REWARD a child? – This is an interesting issue and I have some thoughts for parents and teachers that might be helpful. Ending the school year: 3 dont’s and 8 do’s – Here are some effective tips that I use over and over with my clients to help with the challenges of the end of the school year. Where does your ENERGY go? – Each day your child uses energy in 4 major areas. When people use too much energy, they get into reserves, which has consequences. Helping YOUNGER kids with EF. Helping ADULTS who struggle with EF – 2 videos addressing the 2 different issues and how to help. P.E.P.R. : How to help your child with LONG TERM assignments – The end of the school year is a time when a lot of students struggle to manage the overwhelming amount of work they need to do. Spring Break. Do this. 7 Easy Things. – Here’s a quick video I made to break down some of the things you might want to keep in mind as your child enters spring break. How to get your child to follow through – Here’s a video based on this email I got from a mom on how to get her son to follow through and get a push to succeed. How to coach your child – In this video I explain exactly how I did one of my recent Educational Coaching calls (aka Executive Function Coaching). I describe the process so you can apply it to your child if you’re a parent, or so you can apply it to students if you’re a teacher. What is the PURPOSE of education anyhow? -It’s important for ADULTS to back up and consider what we’re doing BEFORE we make so many decisions about education. Why I left teaching – Here’s my story about why I left teaching. No buy-in or ownership of child – My insights and 6 ways to help for a mom based on her email that started with “Hi Seth, Do you have any information/insight you can share on getting teens to take ownership/buy-in? How to do school work over break – This video will break it down and give you some solutions. “My daughter is drowning in school”– In this in-depth video, I describe how the Dip pattern happens, how and why student resistance increases, how more overwhelm affects kids and how making schoolwork more “concrete” helps. Students and the hard work of change – This video breaks down some of the core elements I use to help my students make the changes they need to become successful in school. B2S – The truth about school supplies lists – This video will help you know what to buy, what not to buy and how to choose. 4 Ways to support your child at the beginning of school – Check out my useful tips to get your child started in the new school year the right way. Teachers, feeling alone? – Here’s a vlog for teachers, based on an email I received form a High School Special Education Teacher named Cynthia. Teachers: What is EMOTIONAL REGULATION and why should you care? – Learn all about what emotional regulation is and how to help these kids. “He loses most worksheets, project rubrics, classwork, etc!” – Check out this 10-minute video I made in response to a mom’s email. How to find an Executive Function or ADHD coach – This in-depth 19 minute video explains the do’s and dont’s of finding and hiring the right coach, and how to help a child who is resistant. What to ask your child this Sunday – A helpful 16-minute video outlining what to say to your child today if they’re struggling to finish the semester – whether they are in 5th grade or college. What is a “Naturalistic Learner”? Howard Gardner’s Multiple Intelligences – Naturalistic strengths are often not valued in our “standards based” culture. This video provides valuable insight in addition to exploring different concepts to help a “naturalistic learner” flourish. The Homework Continuum – Parents and teachers often think of homework the wrong way. This video breaks it down so you can better help your struggling students manage homework complications. Backpack overhaul 101 – Your new best friend – This 10 minute video explains how and why I teach students to do a regular “backpack overhaul” and why it’s a critical tool for student success. How I successfully teach students to make a “daily plan” – Struggling students often resists planning. Learn how to make planning as simple and powerful as possible, in order to prepare your student for independence in life. Winter Break 101 – Self-care tips to help students (as well as teachers and parents) re-charge during the winter break. How To Help Your Child Pass This Semester, Day 1/3 – 18 minute video packed with ideas on how to help your struggling student become more successful. How To Help Your Child Pass This Semester, Day 2/3 – Includes 2 videos. 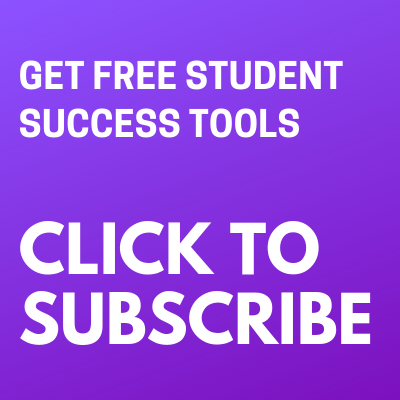 Video 1: The 7 tools all successful students needs. Video 2: The most common mistakes parents make. How To Help Your Child Pass This Semester, Day 3/3 – If you want to help your child finish the year strong, try these 11 things. 3 Reasons I Hate Testing…. And a lil’ thank you to the teachers who have to put up with it – Learn more about the downside of tests. PARENTS, Are Apps For Students Really Worth It? – Find out in this 11-minute video. An Excellent Way To Evaluate Curriculum – Here I break down three extremely helpful concepts used to build curriculum – “Content, Process and Product”. Frustrations – Includes 3 videos for parents: 1) What frustrates your kids most about you? 2) What frustrates your kids most about school? 3) What frustrates your kids most about themselves? “He’s not motivated by much of anything” – Includes 3 videos for parents: 1) Unmotivated Students: The Why, 2) Unmotivated Students: How To Help, 3) How to “get motivated”. Habits and how to change them – Learn how your kid can minimize or eliminate habits that are counter-productive and build habits that will help. Finally! (A personal note to you) – Here’s a more personal video for you, my awesome audience. Please check it out. The dip: How to deal with the falling grades pattern – This 4-minute video sheds some light on the issue of the predictable “dip” at around week 6. Learn how to turn things around. Advocating via email – Written description along with an 11-minute video of me describing how to best advocate for students via email. New TILT Podcast – Here are 2 AMAZING new podcasts with Debbie Reber from TiLT Parenting Podcast: Things you’ll learn include why our kids resist in the first place, the connection between executive functioning and resistance, and much more! 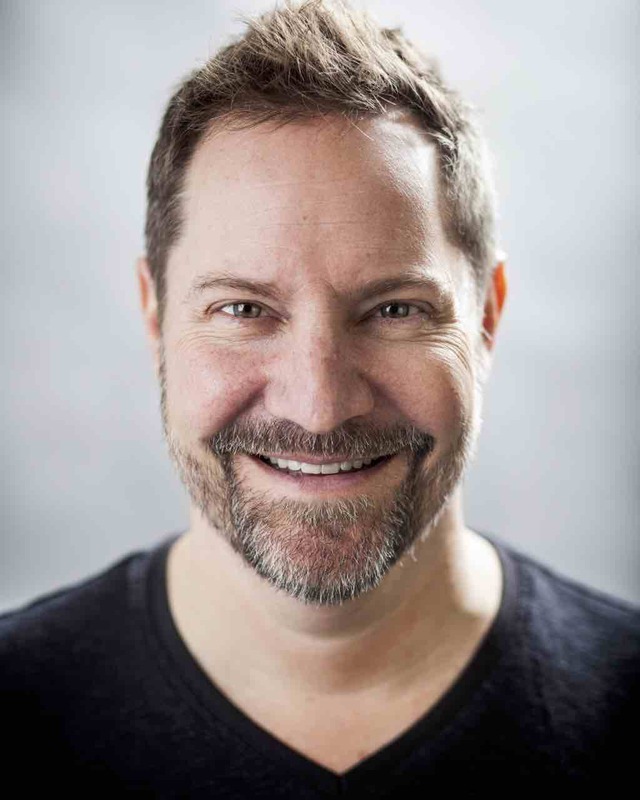 Faster Than Normal Podcast with Peter Shankman – I was recently featured on Peter Shankman’s podcast and we discussed my personal ADHD story. Executive Function Masterclass: TILT Podcast with Debbie Reber – Includes the new EF Masterclass Podcast 1/2 and 2/2, as well as a freebie Executive Function Assessment. New Podcast: Self-Advocacy – Adrianne Meldrum, from the Math For Middles website and On Middle Ground podcast, recently had me on her show to talk about self-advocacy. TILT Parenting Podcast with Debbie Reber – Executive Function – Recently Debbie Reber interviewed me about Executive Function on her podcast, TILT Parenting. This is my FAVORITE parenting podcast and I definitely recommend subscribing! 7 Systems Outside-the-box Learners Desperately Need – An interview by Jennifer Gonzales, Includes PDF assessment to see the systems your students has in place. 5 Action Steps to Help Your ADHD Child – Here I go over 5 specific steps to take regarding how to best help your ADHD child with school. Jesse Hagopian’s Lesson Plan for Liberation – I do not know Jesse and he does not know I’m posting this on my blog. I’m doing this purely because I appreciate the way he contributes to helping our kids. 6 Math Issues that Plague Teen Students – Here’s a guest post by Adrianne Meldrum of Math for Middles! Adrianne is an amazing online math tutor, mom and friend. Anxiety and Kids (Guest Post) – This is the first time I have had a guest post. I am extremely picky about things like that, but I’ve wanted Jen to do a post for me for a long time because she is really good at her work! So, I invited Boulder somatic psychotherapist, Jennifer Delaney, MA, NCC to write a guest post specifically about anxiety! An open letter to dad – Learn all about “dad time” and why your child needs it. Is my Child 2E or Twice Exceptional? – Find out whether your child is 2e, the challenges it comes with, and how to support and empower 2e learners. Should my child have routines this summer? – Read up on why the answer is yes. My #1 Study Tip, and it’s Actually Fun – One of the very best ways to learn is to teach what you’re trying to master. Learn how. High schooler gives up (includes email template to send teachers) – If your child is emotionally overwhelmed toward the end of the school year and you want to help them, you need clarity (and a way to advocate for them) asap. 7 Ways to help your child start the NEW YEAR off right in school – Read up on great ways on how to help your kids get a great start into the second semester. Homework over break!? – Many students struggle around Thanksgiving break. My 10 tips will help move your child in the right direction while building healthy habits for life. Dad says, “He has continuously asked me for help with concentration” – Useful insight and questions to ask yourself when your child is having concentration issues. 12 Big Mistakes Students Make in September – In this blog I explore predictable patterns and how to prevent them. Parents, trust your gut – Parents usually have a gut feeling that’s spot on, but often times there are conflicting messages from the outside that prevent parents from listening to their own inner voice. Here’s what to do. Executive Function – (Includes PDF) One of the most important articles on my site. Explains struggling students and what’s going on in the brain. “Runnin’ Hot” How to work with Stress in School – A lot of adults forget that school can be an especially emotional experience. Here’s how to support your child. “What to do if your child’s school wants the parent to stay out of it?” – How to handle the situation if you’re faced with it as a parent. PEP – 3 Things you MUST keep an eye on in the final weeks of school – Learn how to keep track of PEP: Papers, Exams, Projects. Teaching Ain’t Rocket Science (Part 1) – In this post I explore what teaching is and should be: an art form. “Whatever!” – What does “whatever” mean? What is your child really saying? Biography of a struggling student: My story – I was the struggling student that I work to help nowadays. Read this post to learn more about me and my past. The Most Important Thing of All – Don’t get so caught up with school, grades, and perfection that you forget about the most important thing in the world. The Email You Should Definitely Send Your Teachers This Week – Be proactive and communicate with your teachers! Find out how to do it the right way. Report Cards – Students have attributes beyond report cards and more important than grades. 7 Tips For Dealing With Daylight Savings & Falling Back – Actionable tips that will help smooth the transition. 3 Quick ways to boost grades – Quick overhaul, grade check, advocate. Read to learn more. Why every student needs a “Blocker App” – Computers and Internet often cause distractions for students, making it tough to focus on schoolwork. Learn more about different Internet Blocker Apps and how to use them. There’s failure and then there’s failure. And then…. there’s failure. – Learn more about the 3 types of failure in this informative blog post. 24 Tips for better sleep – Good sleep is one of the foundations for optimizing brain function and learning. What are some action steps we can do to improve our sleep and wake up rested? How to deal with spring fever insanity – What to do when spring has sprung and things are getting crazy! What your prioritization style? – What the is a prioritization style and how can we apply it? 4 Education changemakers that I love and that you should definitely know about – Over the years there have been a good handful of people who have greatly inspired my work. Read this post to find out more. Unmotivated kids – Don’t wait until your kid feels motivated. There is a better strategy. Gratitude – Benefits of showing and teaching gratitude. Includes an easy exercise. Parents, you’re not alone (Part 1) – Here’s a collection of snippets that reflect parents biggest concerns. Seth Godin: Why you should listen -Seth has a truly unique way of articulating his ideas so that you can use them to better help your child grow up in this world. Here’s a blog post filled with most of Seth’s content relevant to education. “How do I help my kid if he/she doesn’t want it?” – Trying to help a child who won’t accept it is definitely difficult, but you’re not alone, and there is hope. Read on for tips on what to do. Advocacy letter example – Here’s a real advocacy letter that was sent by one of my families this year. Feel free to use the ideas to craft your own. Real Stories – A bit of insight on why I do what I do…. Final exams – a different way to study – How to use a digital recorder to improve your studying. Pushing buttons – Make sure you don’t have buttons – so your kids can’t push them. You’re not crazy – Feel like you don’t have a voice in your kid’s education? You are not alone. Read this in-depth blog exploring the difficulties that both parents and teachers face. The problem with writing papers -There are a lot of details to manage when writing papers, and struggling students notoriously aren’t great with details. Read on for useful tips on how to approach your next paper. Hate to beat a dead horse – The scenario described in this post is very common and can be very frustrating to everybody involved. The homestretch – There’s a lot going on at the end of the school year. Here are a few things for parents and educators to keep in mind during the homestretch. Two types of kids -The vast majority of struggling students fits into category 2. There is a legitimate difference in how these students think, precess and learn. Read on to learn more. Clean slate – New semester = clean slate. Here are some great tips for a strong start. Overkill – More binders does not equal more organized kids. Find out why binder overkill doesn’t work. Quick organizational overhaul – Some students seem to get organization through osmosis, but many need a great deal of direct and specific guidance in order to develop their style. Here’s a quick overhaul. Just throw it away – A post about why de-cluttering is important. Great teachers – What makes a great teacher? Here’s my thoughts. Plan C – For most parents, there is plan A and plan B for their kids. But what if those don’t work? Then it’s time for plan C.
“I’m not smart.” – Even though your kid doesn’t get good grades, it doesn’t mean they’re not smart. Read on to see why, in my opinion, grades are misleading. Teach with Passion, not “Packets”. And a Thanks to Jeff Bliss – Packets aren’t inherently “bad” but there are some common problems with the way many teachers use them. In this post I explore why they don’t work, and some alternatives. Features video by student Jeff Bliss, who inspired this post. The Writing Process – Read on for a universal approach to writing that works with all ages. Good authors consciously or unconsciously use this basic process for everything they write. “Our Natural Sleep Cycle” – Here’s a short post which links to a 4 minute TED video about sleep by Jessa Gambale. Unitasking vs. Multitasking: What’s best for students? – Find out how to make tasks more fun, more productive, more interesting, more valuable and even more efficient. 6 supplies students really need – This post highlights my top recommendations. Parents, trust your gut – Parents often overthink things – instead of just listening to their gut. Often their concerns are in fact valid. “Runnin’ Hot” How to work with stress in school – For many students, school is an especially emotional experience. Learn how to help your child cope. Glossary – (coming this summer) This is a list of some of the most important concepts I refer to. This is a great resource for parents and teachers. What I’m About – (coming this summer) This article explains my core values as they relate to how I designed my business, ShineOn Educational Solutions. Executive Function – One of the most important articles on my site. Explains struggling students and what’s going on in the brain. The PDF is an extremely handy printable resource to help understand EF and how it affects your child. How Students Build Effective Systems – Includes downloadable “Systems Check” PDF. Helps struggling students build systems for managing time, homework, studying, cleaning the bedroom, organizing the study space, remembering important details, etc. Daily Habits Cheat Sheet – Want to turn it around in school and upgrade your grades? Download this useful PDF. What To Do When You “Think” You Have No Homework – Printable PDF with a questions cheatsheet for your child and tips for parents on how to ask about homework without the drama. “Stop Stealing Dreams” – Check out this 200 page manifesto in PDF format.It’s called Stop Stealing Dreams (What is School For?) by Seth Godin.